Plextor has announced its next-generation high-end SSD, the M9Pe. The new drive will use Toshiba’s 64-layer 3D TLC NAND memory and a Marvell controller, and will be available in configurations of up to 1 TB. Plextor says that it is planning to bring the drive to market by the end of this year. 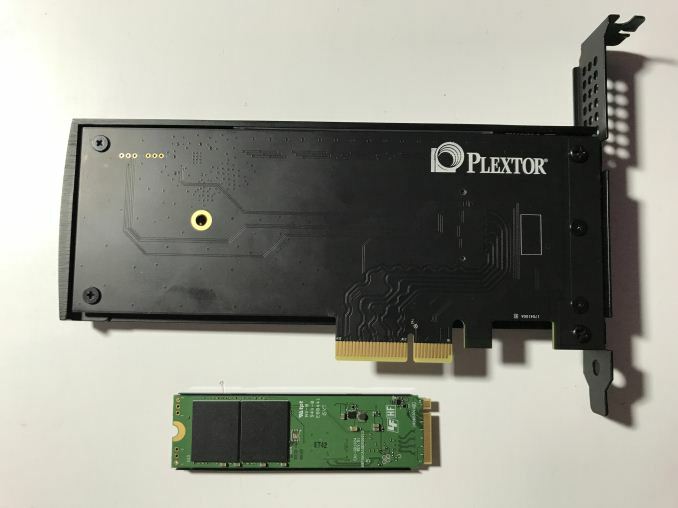 When it comes to high-end SSDs Plextor has returned to its yearly update cycle, and at this Computex the company announced the successor of the M8Pe drive it launched 12 months ago: the M9Pe. Lite-On, the company behind Plextor SSDs, continued to work with Marvell and Toshiba, who supplied controllers and NAND for the previous-generation drives. For Plextor it is logical to keep the old relationship, especially given the shortage of flash memory on the market. For the Plextor M9Pe, the manufacturer has chosen the Marvell 88SS1093 BTB2 controller as well as Toshiba’s 512 Gb BiCS 3D TLC NAND memory. The 88SS1093 BTB2 controller is equipped with three cores and features 8 NAND channels with 4 CE per channel (32 targets in total). The IC supports a Marvell’s third-generation ECC technology based on the LDPC algorithm and uses PCIe 3.0 x4 interface. Essentially the chip is an updated version of the 88SS1093 with higher frequencies and performance, which makes a lot of sense for higher-end SSDs. It is still an NVMe 1.1 IC, so do not expect any features of the latest NVMe 1.3 spec. Meanwhile, Plextor promises stable performance in sustained use cases, and this is what matters most. Plextor will offer its M9Pe drives in 256 GB, 512 GB and 1 TB configurations. As for performance, we are looking at up to 3100 MB/s sequential read speed and around 2300 MB/s sequential write speed for the higher-end models, but as the numbers are preliminary; commercial devices might perform differently than the engineering samples the company is testing now. 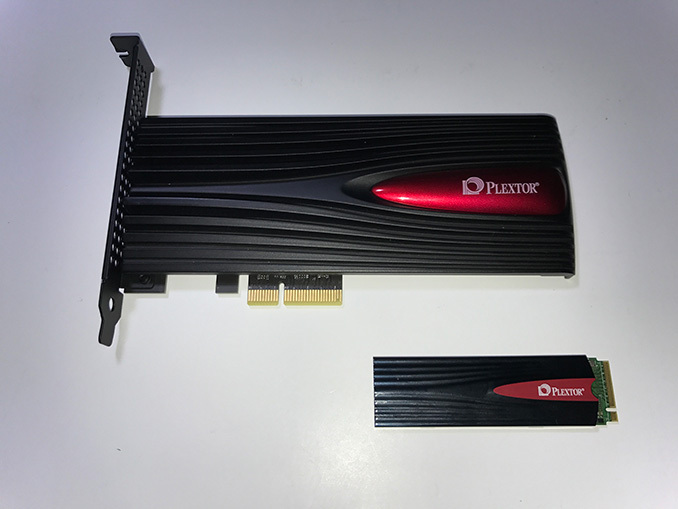 As for form-factors, Plextor plans to offer both an M.2 form-factor card with a radiator, as well as add-in-cards with a larger cooling system featuring RGB LEDs. Plextor intends to bring its M9Pe drives to market by the end of the year. Pricing is something that is hard to tell today because it will depend on multiple factors, including competitive environment, and of course, where NAND prices are later this year.